Professional Triathlon Coaching, Do you want to get faster? Feedback so you peak for your important races. Triathlon coaching, based in Pembrokeshire, West Wales. Are you overwhelmed by advice, and struggling to adapt your training plan to fit your lifestyle? Looking to improve the quality of your training? A personal triathlon and nutrition service run by Kona-qualifier, mum of two, Celia Boothman. Located in Pembrokeshire, the home of Ironman Wales, with a focus on performance and nutrition for long and short course triathletes. Now using FitrCoach to monitor your menstrual cycle, and use this to inform training. “You need to love the rain, (pain and hard times) to really enjoy, and experience living,” says Iron-woman, and Love The Rain (LTR) founder Celia Boothman. LTR coaching was launched in 2014 and provides a structured approach to training and nutrition for busy people who are balancing doing what they love, with family and work life. LTR coaching helps people to achieve their triathlon goals, whatever their starting point. Celia Boothman is a Kona competitor with a passion for best performance in sport and life. 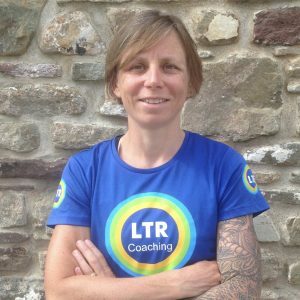 She lives, works and trains in Pembrokeshire, the home of Ironman Wales, and will soon be launching a range of training weekends in the area to help athletes preparing for multisport events, with a focus on planning, nutrition, and eating right for long distance events. If you’re interested in training weekends, contact Celia now. She will also continue to provide coaching plans and nutrition advice both face-to-face and online. Getting to know a range of people, and what makes them tick. Empowering individuals to have confidence in themselves. Creatively planning training, so that athletes achieve the right balance for life and triathlon. I am particularly interested in how women perform in sport, how we can empower women through sport, and adapt to the challenges that face us. Now using FitrCoach to monitor your menstrual cycle and use this to inform training. Get in touch here for more information about coaching services and packages.